If you’re a rising freshman, you’re probably already freaking out about your first day of high school. But everyone is just as terrified as you are. You might think everyone is going to be in a competition to rise to the top of the social strata, but being at the top is overrated. High school is only four short years, so you might as well spend it with the people you like. We’ve been through this year ourselves, and we have a lot of advice to offer. But the most important thing to remember is do not, under any circumstance, use a rolling backpack. Everyone will be giving you dirty looks in the halls when they trip over it. Don’t spend unnecessary time decorating your locker, because by the end of the year it will inevitably be a big mess. Don’t make it a longterm storage unit, or else you’ll be bringing a suitcase to school when you have to clean it out. Be the person who always has a never-ending supply of gum, and everyone will love you (except the teachers). You will be thanking us when you need something to wake you up during that one class where you always seem to be dozing off. But even if you already know all of this, never forget that you are a freshman, and the upperclassmen will know more about how this works than you do (you can even ask them for advice). You’ll be fine as long as you remember to be respectful and stay out of their way in the halls. And even if you don’t think you can handle the workload, don’t ever complain to the juniors about it (You’ll see why when you are one). Now is not the time to be stressing about college applications, you still have three more years. Even if you are worrying about it, remember that if you fail one test you’re still going to get into college. There are also plenty of things to look forward to. You have finally escaped middle school! Get used to making your own decisions. Join whichever clubs or sports teams you want. There are also tons of new friends that you can make, so don’t stress about your social life. And even if after all of these exciting new things, you still hate high school, there are things you can do to help survive your freshman year (and summer will come around eventually). Everyone has probably already told you not to procrastinate, and that is because it’s just about the worst mistake you can make in high school. Your grades won’t be where you want them and you will never get a sufficient amount of sleep if you prioritize Netflix over your homework. Take it from two people who have learned this the hard way, it just doesn’t work. Even if you never procrastinate, and work as hard as you can, there will always be people bragging about how they maintain their perfect GPA without studying. They are probably lying, so don’t compare yourself to them. Also never forget that your guidance counselors and teachers are good resources for help. So don’t be afraid of them or hesitate to reach out for whatever you may need. Especially if you feel like you got an unfair grade, approach your teacher about it—you never know, it might be a mistake. Even if you hear this a lot, come prepared to class. You don’t want to be the kid that always asks the person next to them for a pencil right before a test. It’s also good to use your free periods to get a head start on your work. For the times you’re feeling overwhelmed, put in your headphones, blast some Kanye, and zone out for a few minutes—don't let the stress get to you. There’s a theory that when you get to high school, you’re going to have to choose between a social life, good grades and sleep. But if you know how to work the system, you can balance them out. Use your time efficiently by joining clubs or sports teams with your friends, so you can spend time with them during your extracurriculars. And if your friend wants to join something that you’re not so sure about, go check it out and you might be surprised. However, don’t do things you don’t want to, and especially don’t force yourself to do something because you think it’ll look good on your college resume. Everyone is self-conscious in freshman year, but being able to give off a self-assuring vibe will help you make friends. If you are confident, you’ll attract all different types of people, and you might even befriend a few upperclassmen. This might make freshman year sound scary, but we can assure you that it is tons of fun. We would do it all over again if we could. And in case you had the wrong idea, high school is nothing like Mean Girls. 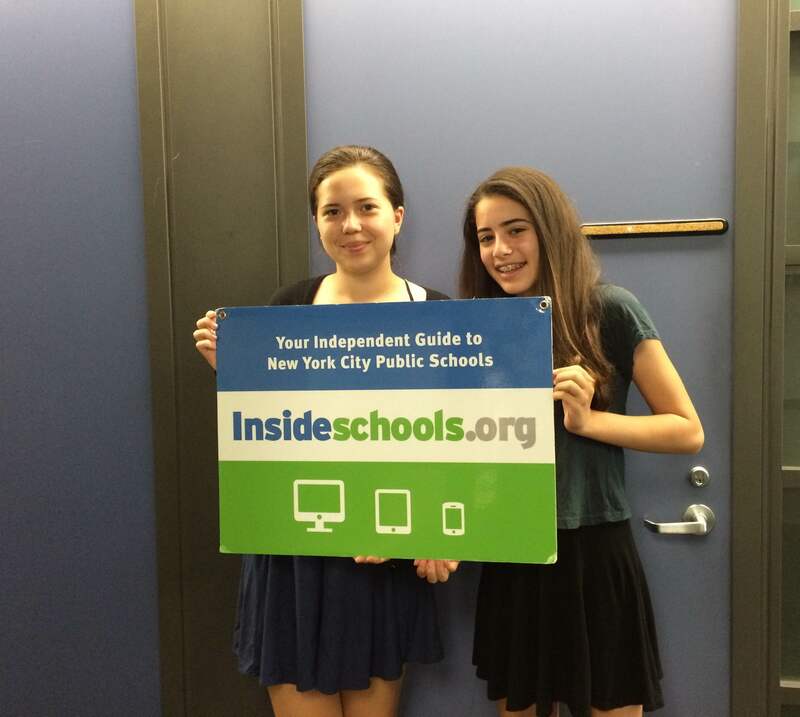 Katie Radvany is a rising sophomore at Hunter College High School and Kaia Tien is a rising junior at Stuyvesant.